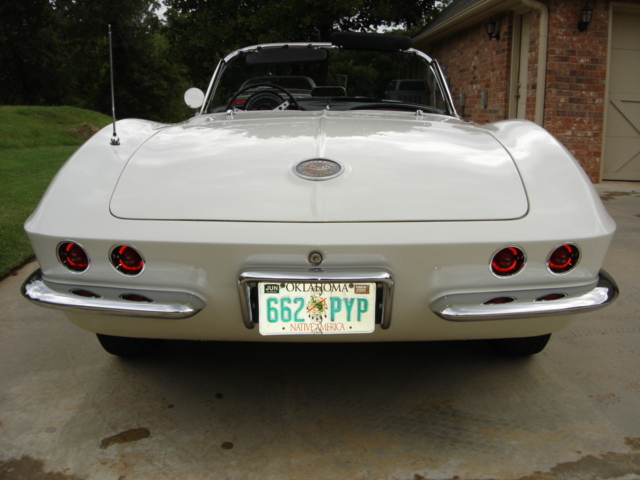 Noal and Katie found and purchased this 1962 Corvette from a small auto repair shop that was converted from an old two-pump service station in Illinois in 1970. When Noal first laid eyes on the Corvette it was sitting in a cyclone fenced impoundment lot, just behind the old station. 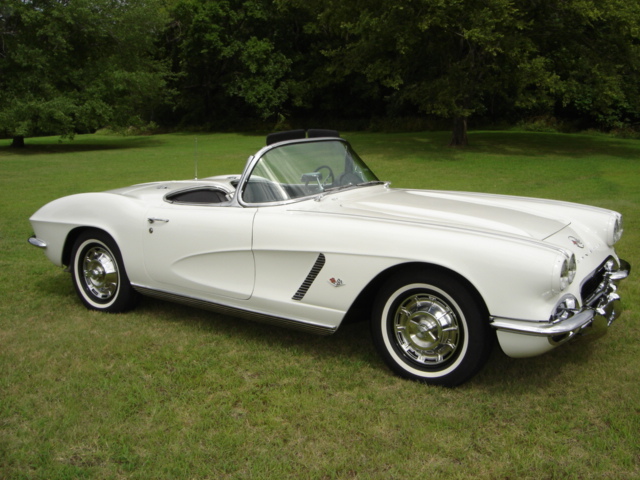 That 1970 purchase began a thirty-eight year love affair with this Great Oklahoma Classic. Noal and Katie rebuilt the Corvette for a nice driver and a few trips to the local drag strip, during their first two years of ownership. It was painted metallic green, added Mickey Thompson mag wheels and street legal drag tires. They replaced the original 327 V8 with a 425 horsepower 396 big block which required a hood scoop. 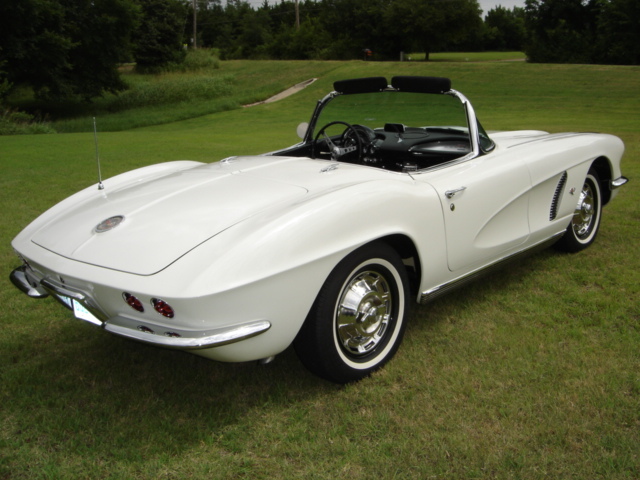 In 1978 Noal and Katie had the paint stripped and then repainted the Corvette to its original Ermine white color. They removed the 396 and replaced it with a vintage correct 327 V8 with 340 horsepower. 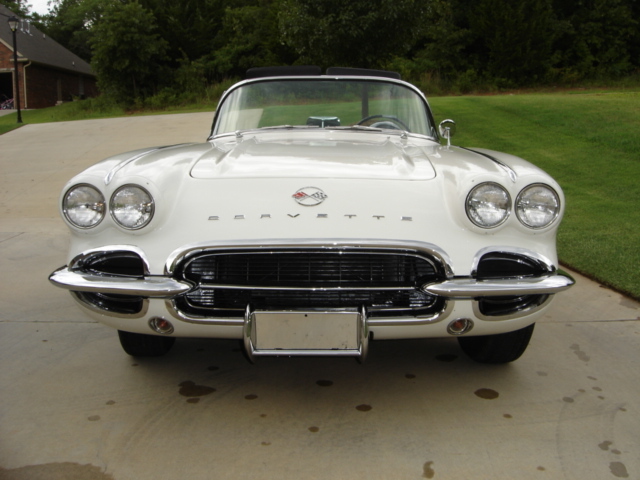 During this time period, the Sinn’s moved several times taking the Corvette along to Kansas City, Charlotte, NC, then back to Illinois before finally moving back to Stillwater, Oklahoma for the last time when Noal retired in 2006. A complete frame off restoration was given to this Great Oklahoma Classic during the last two years. The engine is now a 400 small block, which makes the engine compartment, look stock and very clean. 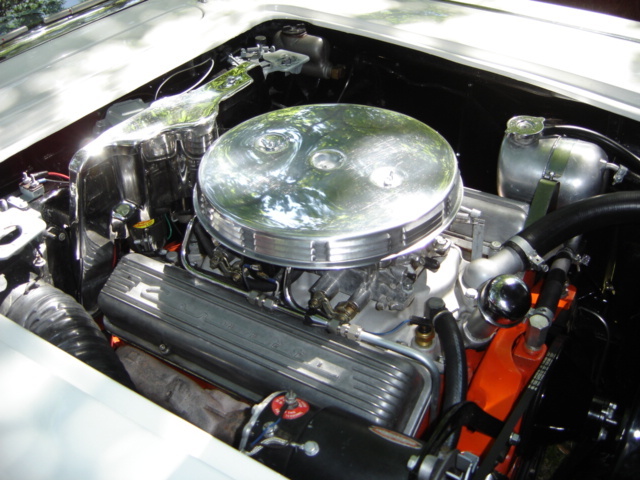 The 400 V8 with the two four barrel carburetors and the stock engine components make the Corvette’s engine compartment look very original. Funk’s Country Body Shop of Stillwater did the Corvette’s body work and new paint job. 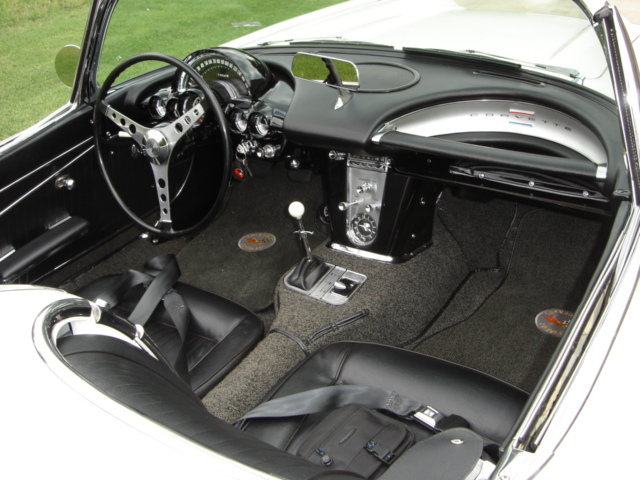 The original four-speed transmission was replaced with a special late model four speed that has an overdrive in fourth. This unique change places the road speed 70 mph at 2000 rpm’s. Noal and Katie have handled all the mechanical duties on the Corvette’s restoration. 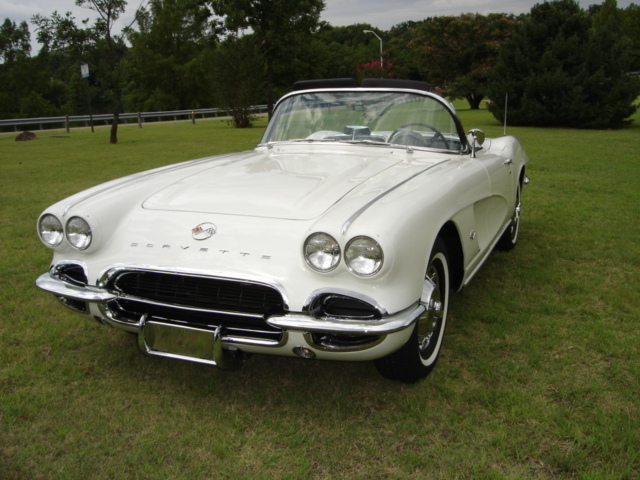 The Corvette’s black interior has been restored to new condition, which gives this Great Oklahoma Classic the appearance of just being driven home from the dealership in 1962 and heading out on a road trip down historic US Route 66. 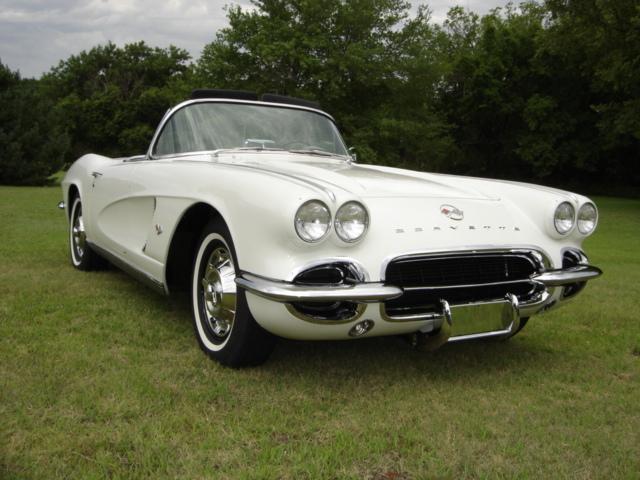 The Cimarron Starlite Cruisers are very pleased to feature Noal and Katie Sinn’s 1962 Corvette as this month’s Great Oklahoma Classic. Noal and Katie’s 62 Corvette is just one of many nicely restored classics owned by members of their local club, Stillwater Antique and Classic Car Club.